Gary Eberle is considered a "founding father" of the Paso Robles appellation ans one of the first "Rhone Rangers". 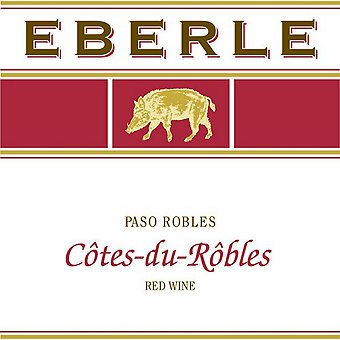 Gary Eberle has been producing wines since 1973 and is considered a "founding father" of the Paso Robles appellation. 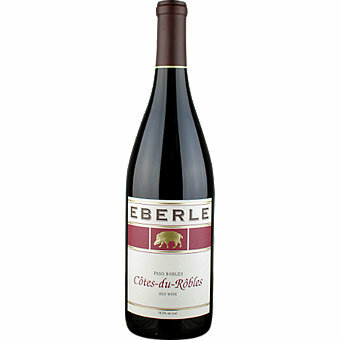 Eberle produced one of the first 100% varietal Syrahs in California and was a pioneer of Rhone varietals in the region so it seems appropriate that he would name this blend "Cotes Du Robles". But the richness and intensity in this red is well beyond what most Cotes Du Rhone can deliver. Wine Enthusiast Magazine scored this 91 points saying "This blend of 39% Mourvèdre, 31% Grenache, 21% Syrah and 9% Durif shows black-plum pastry notes on the nose as well as crushed asphalt, dried rose petals and smoked pork. A line of graphite minerality grabs the palate first, then comes dark red and olallieberry fruit that are lifted by notes of lilac, lavender and potpourri, followed by grippy tannins that entertain the mouth for a while."